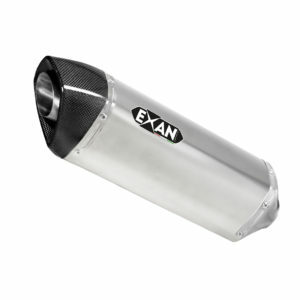 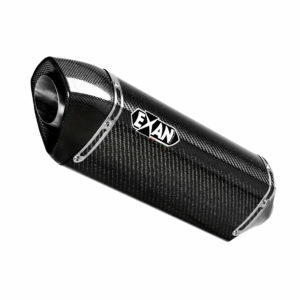 A new line of silencers, with a new and attractive carbon cap, is entering into the Exan catalog. 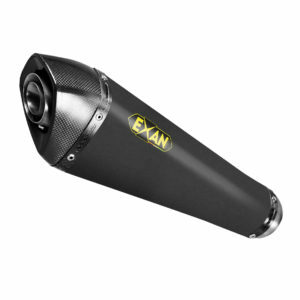 Silencers can have oval or conical shape, while the cap with its sharp lines and trapezoidal shape that gives the product a racing feeling that seems want to “scream” all its power . Extremely light, independently of the chosen finish, allows significant weight saving compared to the original exhaust, ensure an easy handling as well as giving an extraordinary power output at all engine speeds. 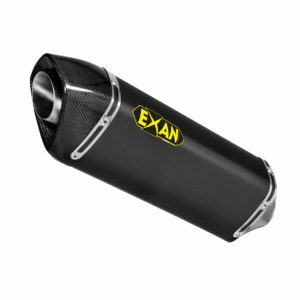 They can be purchased either in approved edition with removable dB-killer and in racing edition only for track purpose. 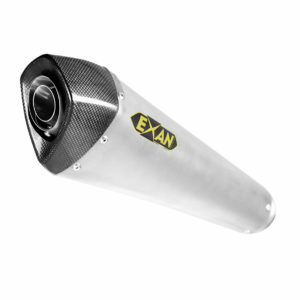 Conicals silencers are available in stainless steel and black stainless, the ovals are also available in carbon or titanium finishes.